Gravity Forms normally loads its stylesheets in the page head, where they belong. It does that only on pages which have forms, which is nice. If you use a widget to host your form, however, it can’t detect that until it renders the widget… too late to load the stylesheets in the head. At that point, it just pulls them directly into the page body. I’ve moved nearly all of WebAware’s websites to DigitalOcean, and stuck NginX in front of everything. When shoppers search a WordPress website, you want them to find products first before listing any articles and pages. And it’s surprisingly easy to achieve, with a simple filter hook. 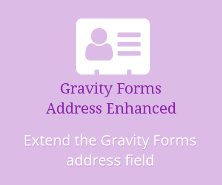 Gravity Forms has some nice compound fields to make it easy to accept things like names, addresses, and credit card details. One annoying thing it does, though, is put the labels for the input fields below them instead of above them. Here’s how to move Gravity Forms field labels above input fields where most people would expect them to be. For a while now, I’ve been using the amazing Trello to help me keep track of various tasks. Sure, I use various bug trackers like Mantis and GitHub Issues too, but for some of the more high-level tasks it’s just easier with Trello. One job it’s particularly good at is helping me keep track of plugin compatibility testing. I recently had to enable user registrations on a WordPress multisite, so that shops on that site could allow customers to register. I don’t want users to register any other way, only through specific applications on specific subsites. Enabling user registrations adds a “register” link to the wp-login.php script page. That invites trouble! If you need to have SKUs on products in WooCommerce, but don’t want to show them on the front end, you can’t just untick an option in the WooCommerce settings: you can either have and show SKUs or not have them at all. So here’s a quick snippet that lets you have them, but remove them from the front end.